It’s a fact of life for pickup truck owners. 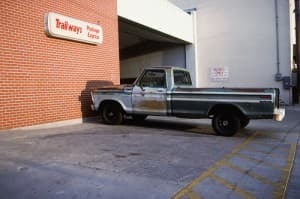 Rocker panels, or the sills beneath the doors, tend to get rusty and beat up and often need to be replaced before you’re ready for a new truck. If you prefer to do your own maintenance and repairs, but you’ve never tackled this job before, you’re about to learn. You can get replacement rocker panels from dealerships, for newer models, or from local part stores and many online stores. Salvage yards are a good place to hunt for bargains. Remove trim pieces and set them aside. Keep any screws with their respective parts. Also remove weather stripping and get it out of the way. Clean out all the dirt, rust and debris with a vacuum so you can see clearly how much damage you have. There is almost always more than you think. Use a strong light to inspect the existing rocker panel to determine how much to remove. Mark where you want to cut and measure for the new piece. If the old rocker panel is not too damaged, it might be possible to knock out the spot welds and remove it as a unit. However, if it has rusted through in places, it may be quicker to use a reciprocating saw to cut away the rusted parts. Remember to use appropriate safety gear. Remember that once you start welding you won’t be able to adjust the fit, so double and triple check your measurements. When you start to cut the new part, it helps to leave a little extra length. It’s easier to grind off a bit than to weld across a gap. Use vice grips to clamp the new piece to the frame to check and adjust the fit. This is not the time to get in a hurry. Mistakes will be hard to disguise. Drill matching holes in truck frame and rocker panel and join the pieces with rivets. For minor repairs you may be able to stop here and just dress things up with body filler, a little sanding and a coat of paint. More extensively damaged panels may require more cutting, more creative patching and a lot of welding. If you take your time and follow through on all the steps, you should have a repair job you can brag about. ← Will Bigger Wheels Change My Fuel Economy?